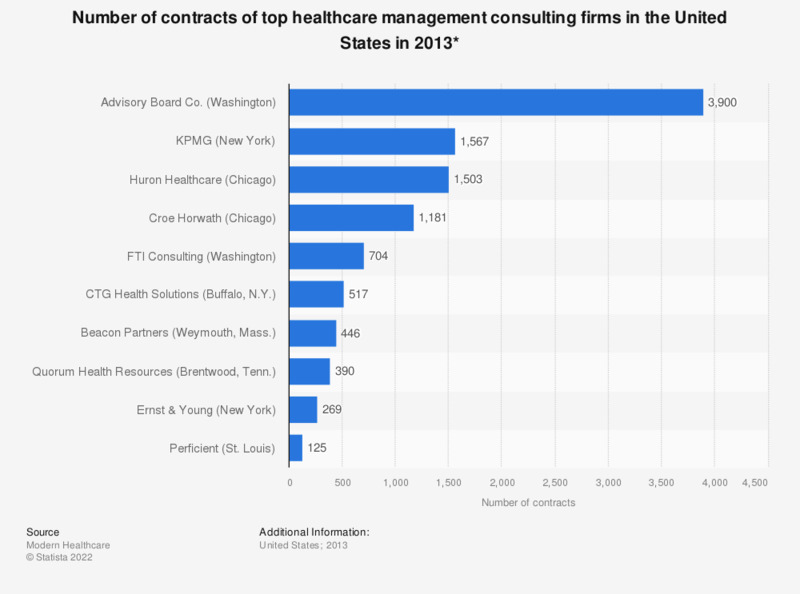 This statistic displays the total number of contracts held by the largest healthcare management consulting firms in the United States in 2013. During this year, Ernst & Young, a private company headquartered in New York, held 269 contracts. * Represents consulting work with providers as well as other sectors of the healthcare industry.